Careers | Sentry Automatic Fire Protection Inc.
We are always seeking qualified mechanics and helpers to join our team. Interested candidates should email their resumes to sales@sentryny.com or call 631-723-3095. 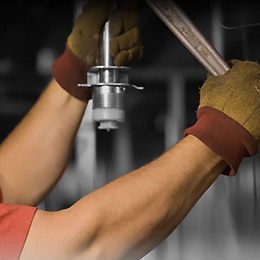 The ideal candidate should have 3-5 years of sprinkler fitting, pipe laying/threading and lift experience. Must also be able to read and interpret blueprints. The ideal candidate should have at least 1 year of plumbing experience. Fire sprinkler experience is helpful but not necessary. There is potential for advancement.